Your role as headteacher is busy enough without adding to the workload. You know the pressures of being a head. You know, as this Guardian article so tellingly described, the pressure to be “Teflon coated” and on top of everything. You know the stress and anxiety of leadership, as this Times piece recently illustrated. It is naturally tempting to assume that the stress and workload will diminish when you relinquish control of some of the job. But that’s only the case if you do it in the right way. There are plenty of companies to which you could outsource your HR, but very few of them specialise in schools – and, as we all know, no business runs quite like a school. 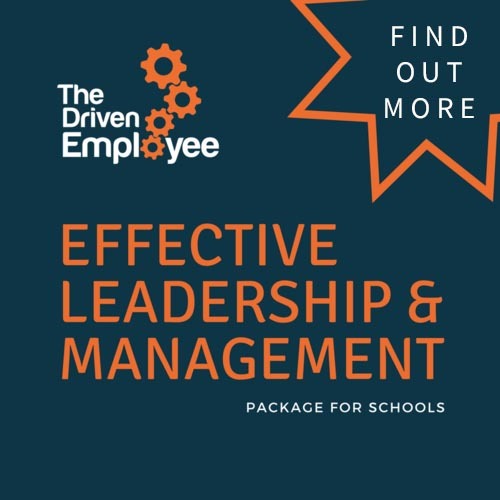 Without the right HR practitioner, someone who understands the specific challenges of the job, there’s a danger you can become disconnected from some of the most important aspects of school management. And unless they’re willing to work in partnership with you, there’s a risk that their ethos will differ from the one you’ve established. Take absence management, for example. A generalist outsourced provider may apply the rules you set, but it’s unlikely to do so in a way that works seamlessly with the culture you’ve carefully cultivated in school. That can lead to dissent and frustration – a feeling that, irrespective of the culture, the HR provider will act like a faceless automaton. And because the provider isn’t a direct employee, you’ll have limited control over fixing things unless you’ve established those controls from the outset. That’s not something that happens when you work with a specialist schools HR provider. Culture remains consistent. You stay in control and fully aware of the HR issues your school faces. And that can result in more than a seamless HR function. Why? Recently we spoke to Nick, a headteacher of several years’ standing, and in his current post for around 18 months. He took part in The Practical Manager course and for six months developed his in-school management skills. He told us how the course has transformed the way he tackles HR. The knock-on effect of that has been profound, he says, resulting in a more confident leader and a shift in culture for the whole school. As Nick’s experience demonstrates, there’s a value in feeling in control that stretches far beyond the HR itself. So, if you’re going to outsource your HR, it’s important that you choose a partner who’ll work closely with you and who you can feel secure with – as though they’ve ‘got your back’ - and enable you to stay in control.